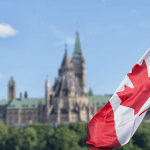 Within the Temporary Resident Visas of Canada, there are also visas which allow business representatives or delegations to visit the country for the purpose of doing business with companies in Canada. This visa is called the Business Persons and Business Delegations visa. This article will go through the relevant details of this visa and its requirements. 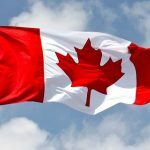 What is the Canada Business Visa? Canada is a highly developed economy and it attracts a lot of businesses and people who want to develop business relations. Sometimes these people might need to visit Canada and meet with potential business partners to develop their plans or sign business agreements. To enter Canada, they might also need a visa. 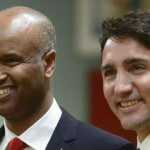 That is why the Canadian government created the Business Persons and Business Delegations Visa. The Business Persons and Business Delegations Visa is a temporary visa, which means that the person who holds it can only stay in Canada for a short period of time, usually less than 6 months. Additionally, the person with this visa is not allowed to work for any company in Canada. They are only allowed to discuss business and sign any potential agreements. If you want to go to Canada to work temporarily, then you need a Temporary Workers Visa. With the Business Persons Visa, you are also not allowed to benefit from Canadian health coverage or apply to get Canadian documents. What are the requirements of the Business Visa Canada? 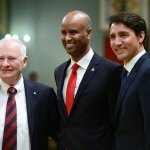 If you do not fulfill these requirements, then it may be more difficult to convince the Canadian Embassy or Consulate to grant you the visa, or they might reject your application. How to Apply for the Canada Business Visa? If you meet the eligibility criteria explained above, then you can start your application process to get a Canada Business Visa. There are several steps you must go through, which are explained below. You have already seen from the requirements above that you qualify for the Business Visa, but you must confirm it through the official website. You must go to the Government of Canada website to the Immigration tab. Click on that tab and then click on Visit. When you get to the page, you will see a link called “Find out if you need a visa”. Click on that link and you will be directed to a survey. You must answer the questions truthfully and select “Attend a business meeting, trade show, or conference” at the reasons for visit. The questionnaire will analyze your answers and determine whether you need a visa, whether you are eligible, or if you only need an Electronic Travel Authorization (eTA). If you are eligible for the business visa, then the page will direct you to the instructions on how to apply. You can apply online or in person and with the increasing digitalization of visa applications, it is much easier if you apply online. Answer a few more questions on the “Determine your eligibility and apply online” survey and you will be given a reference code and a checklist of what you have to do to apply. Other documents which prove you will return to your home country such as a lease, property deed, and so on. Note: All documents must be in English and if they have been translated, you must provide a certification that the translation is correct. Once your visa is approved, the notification will show up on your online account or the Embassy will let you know once you complete the interview. The next step is to then submit your passport for stamping and processing. If you have completed all the procedures online, then the Embassy will send you an email with instructions on where to mail your passport. You must mail the passport and the processing fees, as well as pay for a return envelope. If you are at the Embassy in person, then you will pay the fees there and give the Consular Officer your passport. The Consulate will process your passport, stamp it, and return to you. If they mail it back, it will take a few days to arrive, but from that point forward, you can start making your travel arrangements for your business visit in Canada. What are the Canada Business Visa fees? The cost to apply for the Business Visa Canada is CAD$100 with an additional fee of CAD$85 if you are asked to give your biometric information. So the application cost for the Business Visa is CAD$185. If your visa is approved, then you will have to pay for the passport processing, which costs around CAD$45. How long is the Canada Business Visa processing time? Depending on the workload of the Canadian Embassy you are applying in, you will have to wait from 1 to 6 weeks for the Business Visa to be processed. How long is the Canada Business Visa valid? Since the Business Visa is a Temporary Resident Visa, it is not valid for more than 6 months. You are encouraged to stay only for the time that you have stated in your application, even if that is less than 6 months. The Embassy could give you a visa that is valid for a longer period, such as 3, 5 or even 10 years, but you must not stay for more than 6 months at a time. Can I bring my dependents with me to Canada with a business visa? Since you are applying for a visa to attend a business meeting or a similar reason, you cannot bring your dependents to Canada with a business visa. Dependents in this case are your spouse or common-law partner and your minor children. If they want to accompany you for this trip, they must apply for a Canada Visitor Visa.